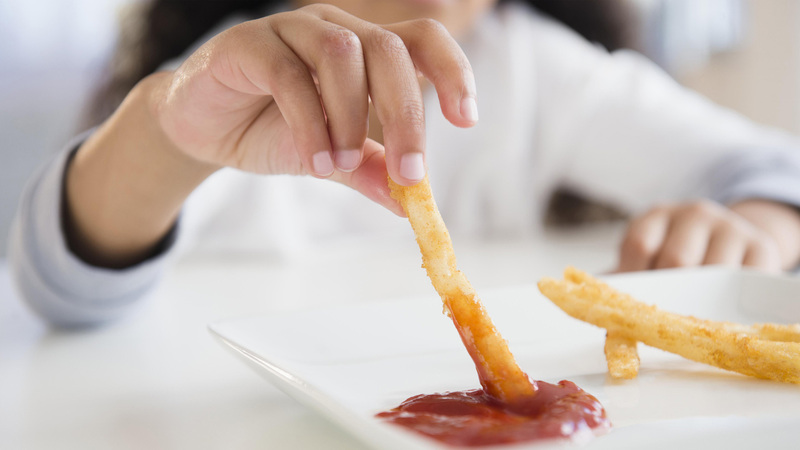 So what if I don’t force my kids to eat their dinner? I’ve spent the last 40 minutes accomplishing a carefully timed feat in my kitchen. I’ve packed school lunches, my husband’s lunch and prepared pasta three ways: with meat sauce for him, with red sauce for my twin 3-year-old boys and with zoodles for myself. I even managed to load the dishwasher as I went along and remembered to pour the milk into the right colored cups this time to avoid the usual dinnertime, “Where’s my blue cup!” drama. After all that hard work I’m hangry and tired, and all I want is for the four of us to sit down for a meal together so I can feel like my efforts in the kitchen were worth it. But as usual, my sons barely touch their carefully crafted meals. One takes a single mouthful of pasta before declaring he’s “All done!” and wandering off to build a blanket fort. The other manages a whopping three bites before he declares himself full and asks to be excused. And while part of me wants to yell at them to get back to the table and finish their dinner, I sigh and watch them run off, because I refuse to force my kids to eat when they’re not hungry. It’s not easy to watch them walk away from nearly full plates of food, and they do it far more often than I care to admit. Sometimes I have to literally bite my tongue or get up, leave the table and go collect myself in the bathroom alone for a few minutes in order to stop myself from strapping them into their booster seats and feeding them by hand. I hate it when they don’t eat. I used to spend every Sunday morning hunkered down with a cup of coffee, comparing my various Pinterest boards to the weekly coupon circulars in order to come up with a weekly menu that fits our family budget, is healthy and seems like foods the kids will enjoy. Sometimes I’ll even prepare a completely separate meal for the kids if I don’t think they’ll like what their father and I are eating for dinner that night. It’s disheartening to work so hard to put together meals that I think they will enjoy just to have them snubbed. As former 33-week preemies, I worry about my kids getting the right nutrients and growing well. When they don’t eat their breakfast on a school day, I worry about them getting hungry long before snack time. And even though I do what I can to save leftovers, when they don’t eat there’s inevitably going to be more food waste in the house. As someone who grew up in a house with limited funds, wasting food really doesn’t sit well with me. But my concern over all of this — their growth, my own ego or the state of food insecurity in our country — is outweighed by my desire for them to have a healthy relationship with food. I want them to know when they’re hungry and when they’re full. And that’s why I will never force them to eat simply because the clock tells them it’s mealtime. Growing up as a child, I was always encouraged to clean my plate at each meal. I was praised for eating the food that was put in front of me and scolded when I failed to eat whatever my family, mainly my grandmother, arbitrarily deemed was “enough.” That thought pattern stayed with me throughout childhood and followed me through adolescence and into adulthood, where it resulted in my having a difficult relationship with food. Even now I struggle to know what full feels like. I have to fight the compulsion to eat at traditional meal times or clean my plate even if I’m not actually hungry. I didn’t want my boys growing up to deal with the same issues. I don’t blame my family or any parent who begs their child to eat at mealtime. It’s easy to see where the idea of, “just three more bites” comes from. When my sons first started solid foods, I found myself falling into the same pattern of behavior I swore I would never adopt. The fear that my kids wouldn’t eat enough led me to push food on them. Even if they’d just had a snack or weren’t showing any signs of hunger, I’d still try to make them eat because it was, after all, time to eat. Once I realized I was doing the exact thing I swore I wouldn’t do, I was able to back off and let my kids lead the way. I know that some people think I’m being an overly permissive parent, that I’m letting my kids walk all over me by the way I don’t insist that they eat three meals a day. I’ve had servers at restaurants raise an eyebrow when I’ve asked for a take-away bag for a clearly untouched plate of child’s food. Some even try to admonish the boys to eat on my behalf. One waitress even cut into my son’s grilled cheese with a knife and fork and tried to feed it to him. I’ve had family and friends comment that I’m overindulging them when I give into their request for a snack shortly after everyone else has finished eating. But as long as that snack is healthy and good for their bodies, I don’t think I’m getting scammed by a preschooler. I’d rather have them eat an apple or yogurt when they’re hungry for it than force them to choke down chicken nuggets even if they aren’t hungry right at that minute. No one’s refusing to eat their sandwich and getting rewarded with a cookie 10 minutes later. It can be frustrating to feel like my kids are running the show when it comes to meals, but as long as their pediatrician is happy with how they are growing and developing, I need to trust that they know their own bodies and hunger cues better than I do.